Home World News Syria War - Russia, US Accuse Each Other Of Cease Fire Violations. Syria War - Russia, US Accuse Each Other Of Cease Fire Violations. CNN Russia's Defense Ministry said Thursday the United States was not fulfilling its obligations under the Syrian ceasefire agreement as Moscow and Washington pointed fingers at each other for violating what had appeared to be a peaceful lull in fighting. In a statement, the Russian ministry said that US-led "moderate opposition forces" had increased the "number of attacks on residential neighborhoods," claiming at the end of the deal's third day that "only the Syrian army observes silence mode." 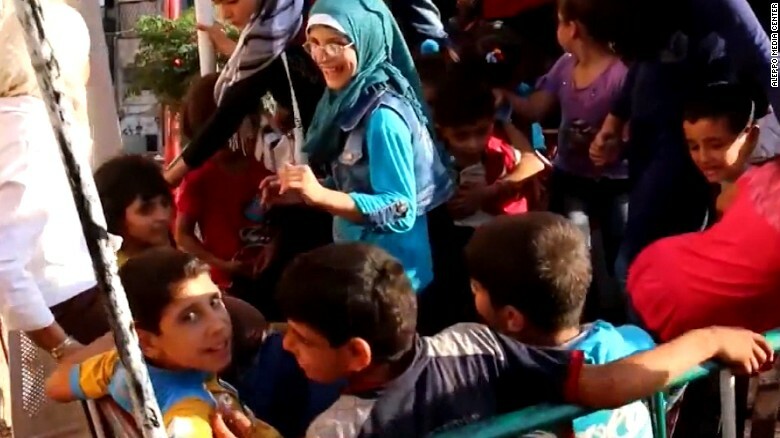 The ceasefire was called so that desperately needed humanitarian aid could be delivered. "From the first minute Russia's been meeting its obligations to enforce the cessation of hostilities in Syria," the Defense Ministry said. "At the same time we're puzzled by the statements made by various representatives of the US State Department and the Pentagon about the prospects of Russia fulfilling the agreements reached on Syria. "Moreover, it seems that the goal of Washington's 'verbal veil' is the intention to hide non-compliance with its part of the obligations. First of all, on the separation of forces of 'moderate opposition' and terrorists." US State Department spokesman Mark Toner acknowledged Wednesday that the situation hadn't been perfect. "We've seen violations by both sides," he said, adding, "we're continuing to monitor this very closely." CNN senior international correspondent Frederik Pleitgen reached the government-controlled part of Aleppo on Thursday and said the area was as calm as he'd ever seen it. But the war-torn city was significantly more devastated than before. He visited an area on the city's front lines, where residents were still living in ruined buildings. Residents there said they were grateful for the reprieve from the fighting, which allowed children to leave their homes to gather firewood for the first time in a while. 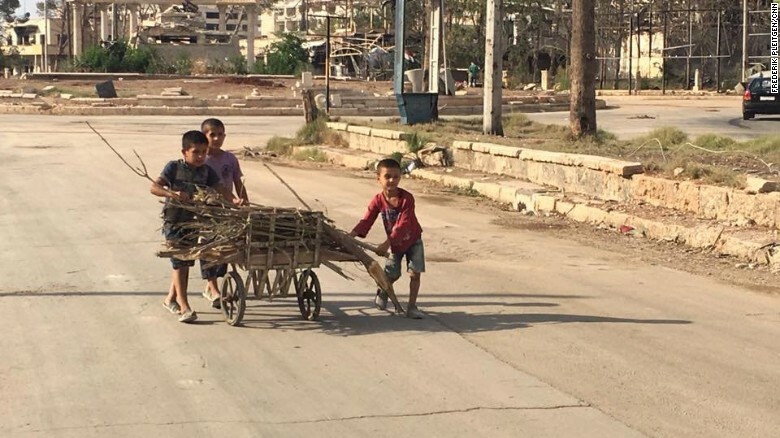 Children push a cart loaded with firewood collected in an Aleppo neighborhood. But Aleppo residents were not necessarily optimistic the ceasefire would hold. "This ceasefire was brought about by outside powers -- it was brought about by the United States and Russia, and then basically the warring parties here were told that they are to abide by the ceasefire, so it's very, very fragile," Pleitgen said. The tenuous calm appeared to be largely holding after an agreement by both parties to extend the deal for another 48 hours. "Incidents are still far below those observed before September 12. We continue to receive reports of incidents -- on the part of both the opposition and the Assad regime -- and encourage all parties to honor their commitment to bring fighting to an end," the State Department's Toner said. "We also call on all parties with influence over the Syrian regime to ensure all measures are taken to immediately facilitate access for UN humanitarian convoys." The ceasefire deal calls for a halt to the violence between the Syrian regime and rebel forces, but it does not cover militant groups considered terrorists, such as ISIS and Jabhat Fateh al-Sham, formerly known as al Nusra Front. Russia's warplanes attacked a group of ISIS militants north of Palmyra, killing 250 terrorists, Viktor Poznikhir, the first deputy chief of the General Staff's main operations directorate, told the media Wednesday. It's not clear if those strikes were carried out unilaterally or in coordination with the United States. Children appear at an entrance of a destroyed building in Aleppo. But convoys still haven't been able to get humanitarian aid to those in need, and such delivery is an important way to judge if a ceasefire is successful. At a news conference Thursday in Geneva, Switzerland, Staffan de Mistura, UN special envoy for Syria, and his adviser, Jan Egeland, said they believed they could obtain permits to deliver the aid. "We can get the permits today and they can come tomorrow morning, and it's only the time it takes to load the trucks," Egeland told reporters. 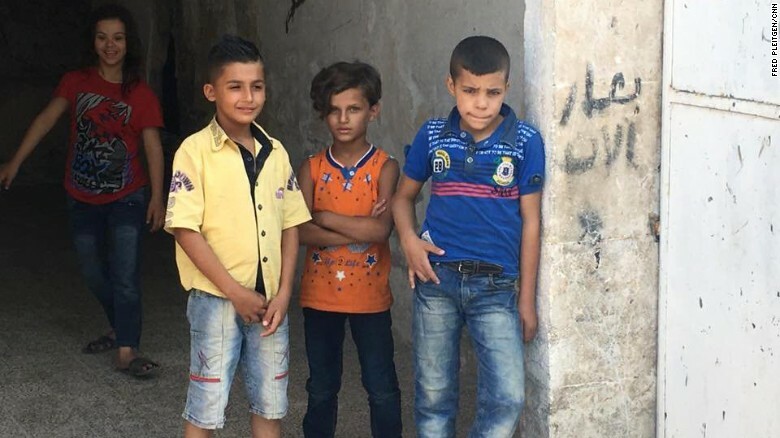 He said that 20 trucks had already passed the buffer zone between Turkey and Syria, and that drivers had been waiting in the zone for 48 hours. Egeland said that "armed men will block the drivers from reaching women and children" in need if the proper permits were not presented. 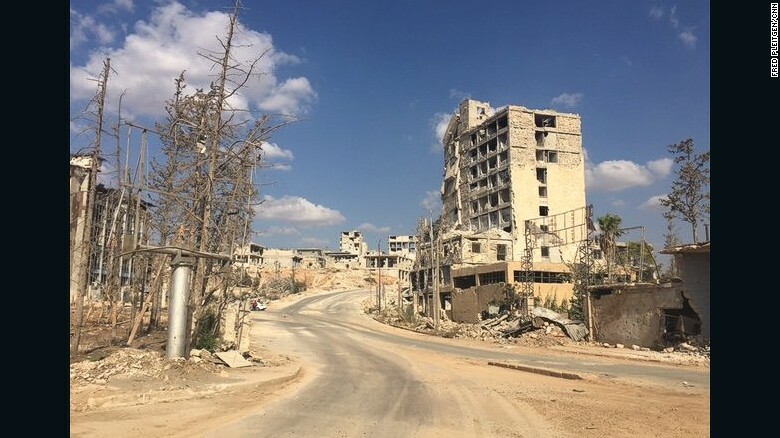 De Mistura said a contested highway into eastern Aleppo, Castello Road, had "special status" under the ceasefire agreement, meaning its use would need to be negotiated separately for the delivery of aid. 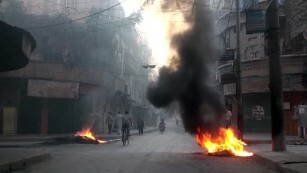 Castello Road, controlled by Syrian regime forces, is the only route into Aleppo's rebel-held east. The highway, nicknamed "Death Road," cuts through Aleppo and is considered the only route into the rebel-held east, an area in desperate need of aid since regime forces virtually cut it off in July. "If this agreement fails, the Syrian air force will know where to go to kill all of those rebels that we've been supporting." Under the terms of the deal, if the peace holds for seven days, Russia and the United States will establish a Joint Implementation Center for cooperation on military operations in Syria targeting terror groups. The Syrian government then would be barred from conducting air operations in those areas. But if that cooperation falls apart, a whole new set of problems could confront the United States, according to analyst Francona. "We're going to be revealing sources and methods -- there's no way to get around that," Francona said. "They'll be able to see where we believe -- and where we will know -- that those opposition groups that are allied with the United States are, because we're going to put them on a 'do not bomb' list. But I guarantee you ... that list is going to Damascus very, very quickly. And if this agreement fails, the Syrian air force will know where to go to kill all of those rebels that we've been supporting." 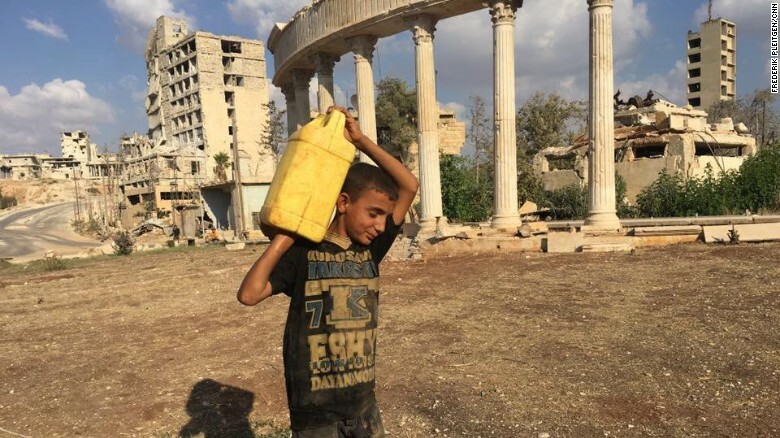 A child carries a canister filled with water near Aleppo's Castello Road. Syria's Foreign Ministry has said aid can only be delivered to Aleppo if it is coordinated through the government and United Nations -- especially aid coming from Turkey. Nevertheless, the ceasefire appears to have offered a respite in the civil war that's killed an estimated 430,000 people since 2011 and touched off an international refugee crisis.